Machines such as steam turbines, large motors and generators usually operate above their first critical speed. In this case the rotor's first mode is excited and the rotor becomes flexible. 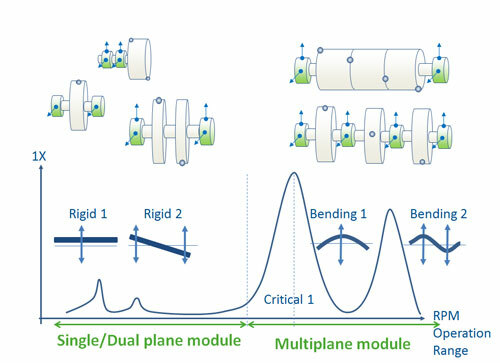 At this stage, it is necessary to increase the number of balancing planes above the classical dual plane balancing. A multiplane (>3) balancing operation is required. To meet this specific requirements, OROS released the Multiplane Balancing Solution. It complements the existing balancing solutions range designed for a classical single/dual plane balancing. Read the new Balancing Solutions Datasheet (first be logged into myOROS) and contact your local support for more information.